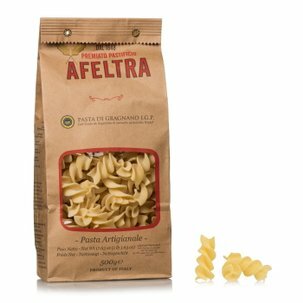 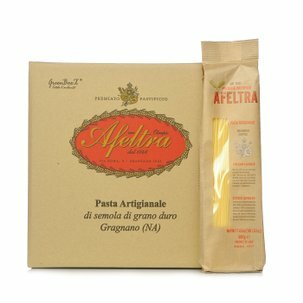 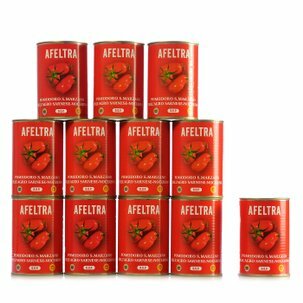 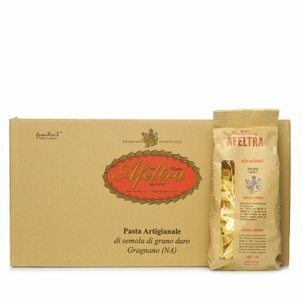 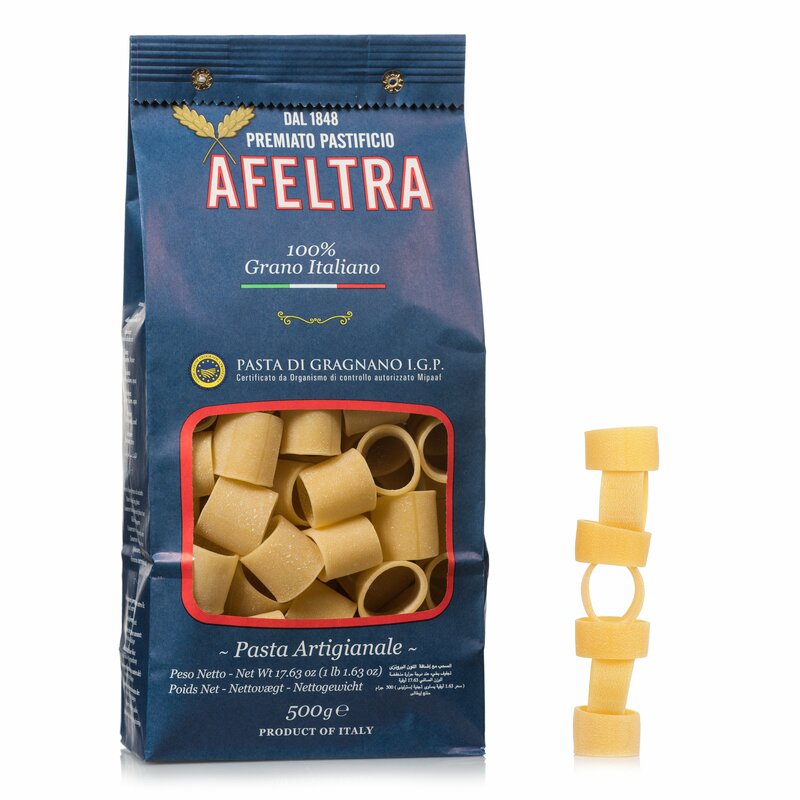 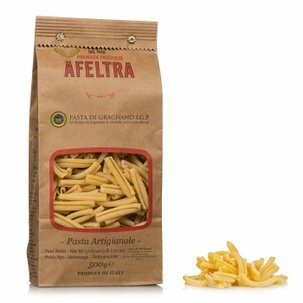 The mezzi paccheri from Afeltra are made with carefully selected wheat semolina originating from 100% Italian wheat that is mixed with water from the Lattari Mountains, extruded through bronze dies and slowly dried for up to 48 hours. 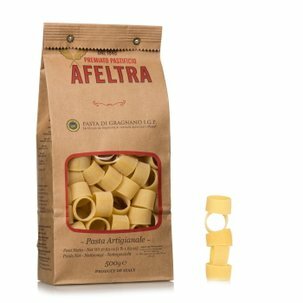 Thanks to their coarse texture, the mezzi paccheri exalt any type of condiment, softly holding sauces and salsas. 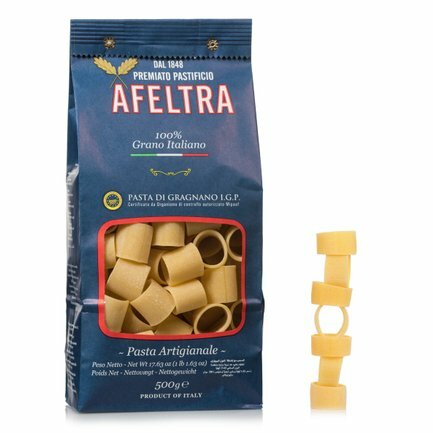 Try them with your favourite sauce, or pair them with cubes of swordfish, capers and a few taggiasca olives.